Jeffrey C. Alexander is the Lillian Chavenson Saden Professor of Sociology at Yale University. He works on theory, culture, and politics. An exponent of the “strong program” in cultural sociology, he has investigated the cultural codes and narratives that inform diverse areas of social life. Alexander has authored or co-authored ten books, of which the best-known is The Civil Sphere (2006). Recent books include The Performance of Politics: Obama’s Victory and the Democratic Struggle for Power (2011), Performance and Power (2011), Trauma: A Social Theory (2012) and The Dark Side of Modernity (2013). In 2009, he received The Foundation Mattei Dogan Prize in Sociology by the International Sociological Association, awarded every four years in recognition of lifetime accomplishments to “a scholar of very high standing in the profession and of outstanding international reputation”. Wed 18 October 14:00 – 15.30 EW F61 Research seminar Iconic Objects and the New Middle Class Open to all. Co-hosted with Sociology Department. Thurs 19 October 14:00 – 16.00 MR613 Reading-based discussion Civil Sphere Theory: An Inter-Disciplinary Debate Open to all. Co-hosted with Divinity Department. Fri 20 October 17:00 – 18.30 NK10 Public lecture The Societalization of Social Problems: Financial Crisis and Media Phone Hacking Open to all. – Sat-Sun: Old Senate Room Conference Civil Sphere and Radicalization Registration required – email Eve Hayes de Kalaf. To participate in discussion in a session, attendees are expected to read the papers for the session (available on registration). 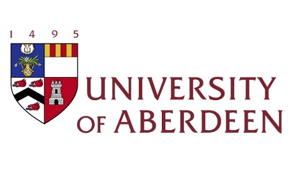 Please contact Eve Hayes de Kalaf eve.hayesdekalaf@abdn.ac.uk if you have questions.